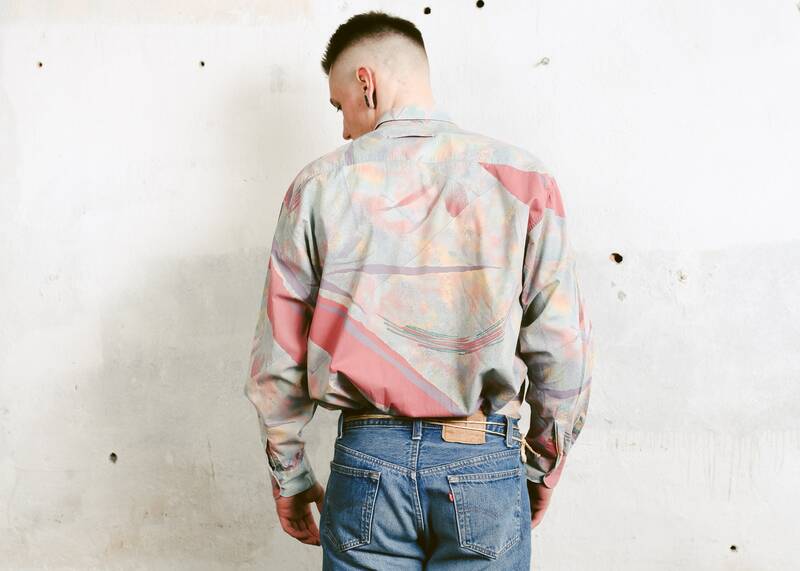 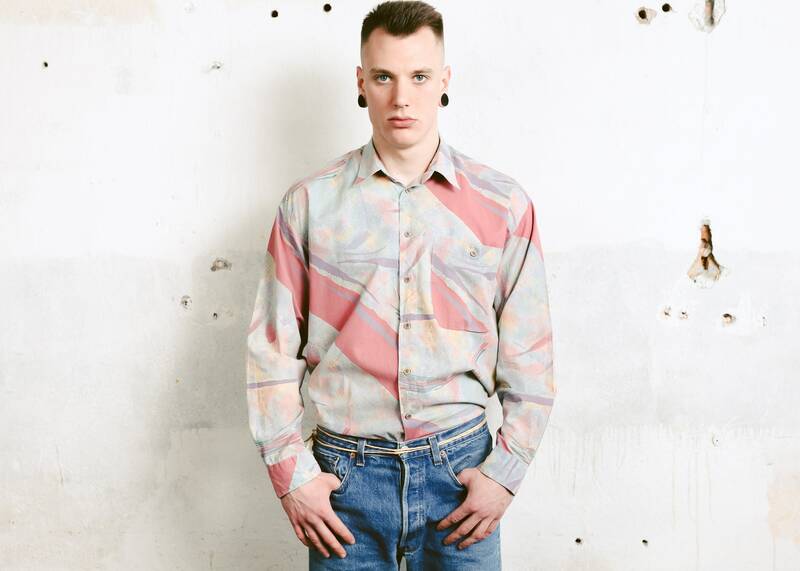 Feast your eyes upon this truly fantastic vintage 90s bold abstract print men shirt. 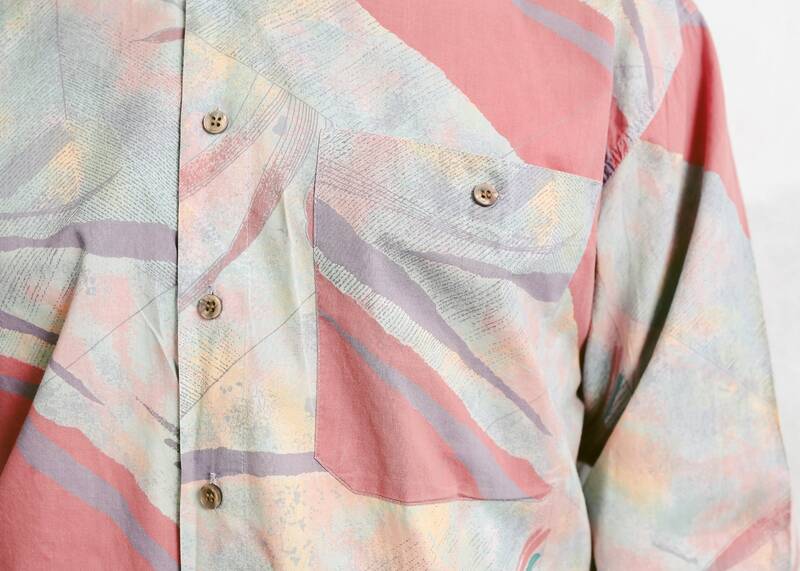 Made of lightweight cotton blend fabric. 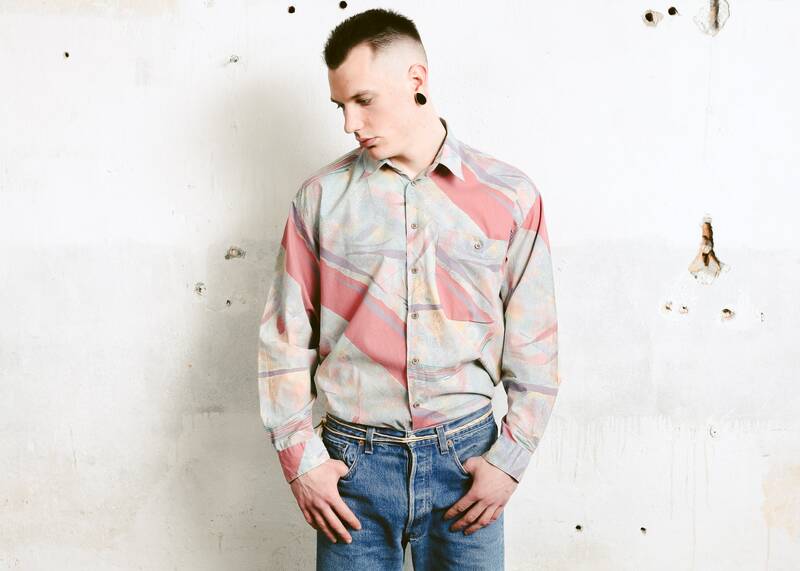 Easy to take care, comfortable piece with very modern vibe.